Rayark, the Taiwanese developer behind the rather wonderful rhythm-action title Deemo, has shared a video that toys with the possibility of future Nintendo Labo Piano support. Yes please! As you can see in the video above, the idea is that the Piano Toy-Con's keys can be used to hit notes as they fall from the screen, rather than simply using the touchscreen. This would add a Guitar Hero/Rock Band feel to the game, with an external, realistically shaped peripheral being used to make everything feel that little bit more real. Rayark has noted that any plans related to this project - should it actually be implemented - will be shared on the studio's official Facebook page. The response from fans seems to be overwhelming positive, though, so we're hopeful to see things progress. 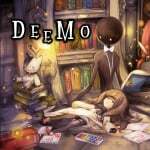 Would you like to see the Nintendo Labo Piano be supported by Deemo? Do you think we could see other developers using Nintendo Labo as additional peripherals for their titles? Let us know your thoughts below. Motorbike handles for Master Cycle in Zelda and fishing rod in DOOM. That cardboard does have a satisfying clunk to it. It would be a nice addition. I'm all for it. Sing us a song you're the piano man. This is something I'd hoped would happen with the release of Nintendo Labo, that some games would end up supporting the peripherals (but not require them). Racing games would do well with the steering wheel and gas pedal for example, or the flight stick with flight games. Of course... Where are those peripherals? That's so cool. I really love Deemo and would probably actually go out and buy Labo just for this if they added it. Deemo is one of my favorite games on the Switch (given I have a soft spot for music/rhythm games), and I would love the challenge of trying to estimate the intervals on a keyboard instead of just following the icons with my fingers. @NovaCam Check out Superbeat: Xonic too! Oh baby would I? Man I love it! Get Harmonix on some Piano Hero game and I'd get Labo just for that. This is what I've been waiting to see; developers getting onboard with labo. There really is a lot of untapped potential there.